Chickpeas are a good source of protein, calcium and fiber. Be creative. Use what you have at home and jazz it up. 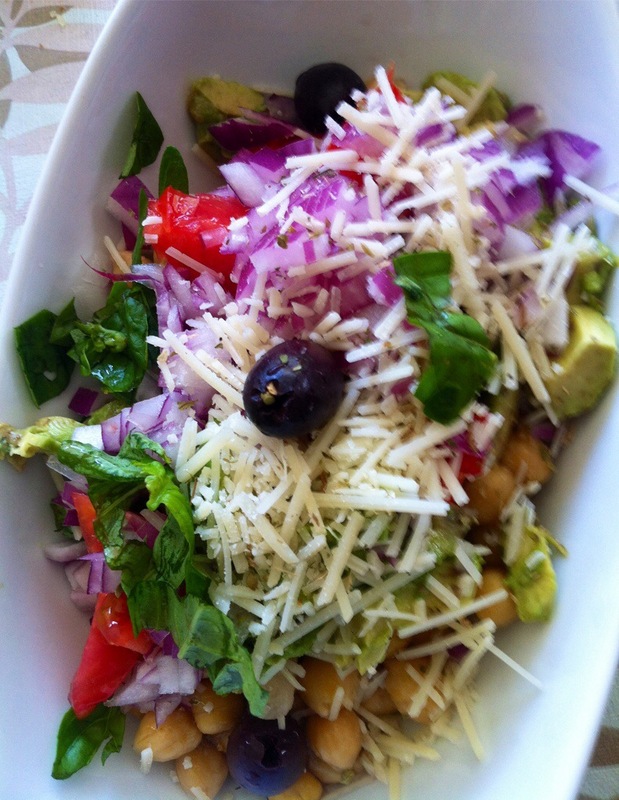 I topped mine with basil, red onion, avacado, oregano, tomatoes, parmesan cheese, Kalamata olives, olive oil, vinegar, sea salt and black pepper. Eat whole, Eat Fresh, Eat Beautiful!